Some 50 developing countries worldwide have a warm climate and a significant amount of coastline. A great deal of their population, hundreds of millions, lives in nearest proximity to water. 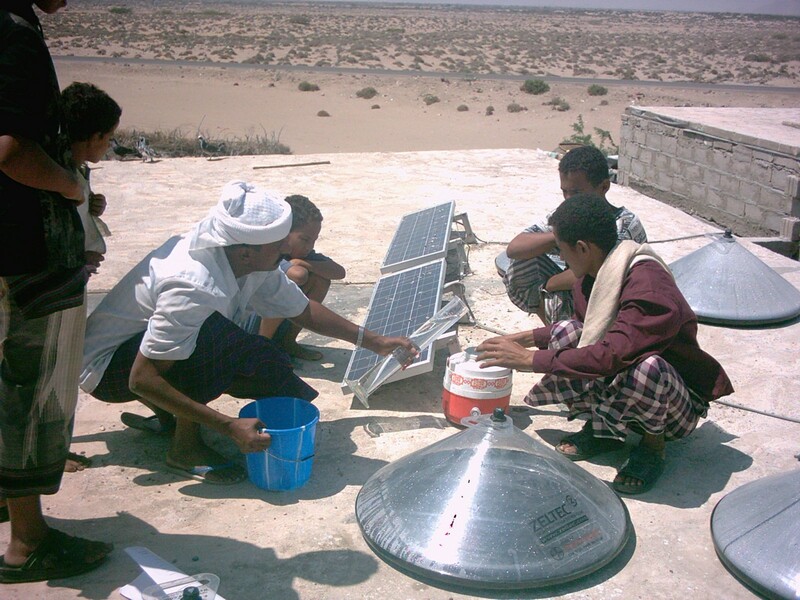 But unfortunately they cannot drink it or use it for agriculture, since it is salt water. 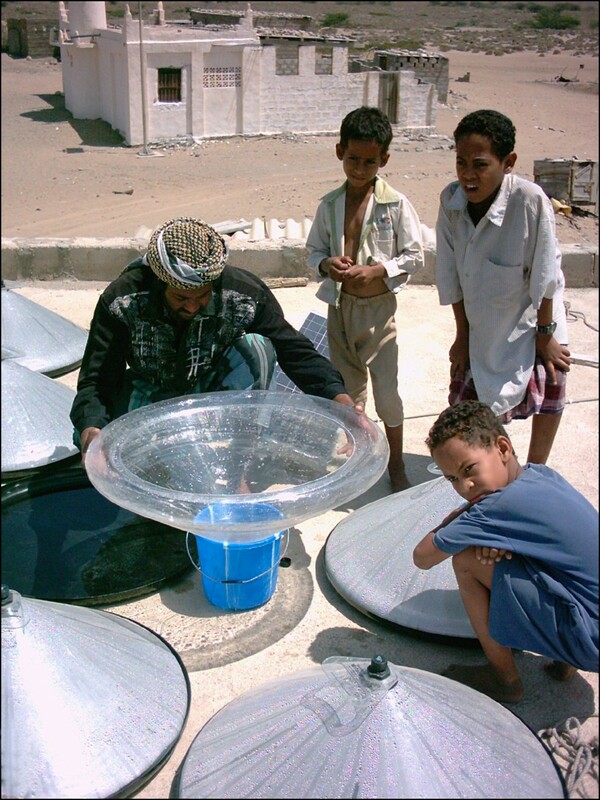 Invented in Germany by the industrial designer Stephan Augustin, and taking its shape after a typical African Tajin, the Watercone was a device to be used to purify salt or brackish water, by way of sunshine and solar distillation. The Watercone was as simple as it came, and one needed no training to understand how it worked. It was mobile, lightweight, easy-to-use and portable, be it that it only functioned properly outdoors and in warm and sunny conditions. 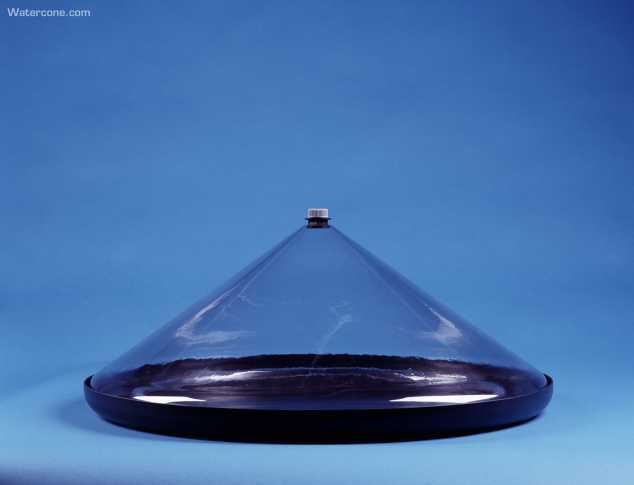 The device consisted of a clear plastic cone that was 100% recyclable, supported by a black basin in recycled polycarbonate. When salt- or brackish water was poured in the basin, solar radiation started to heat the air and water inside, whereas the cone created an airtight seal. 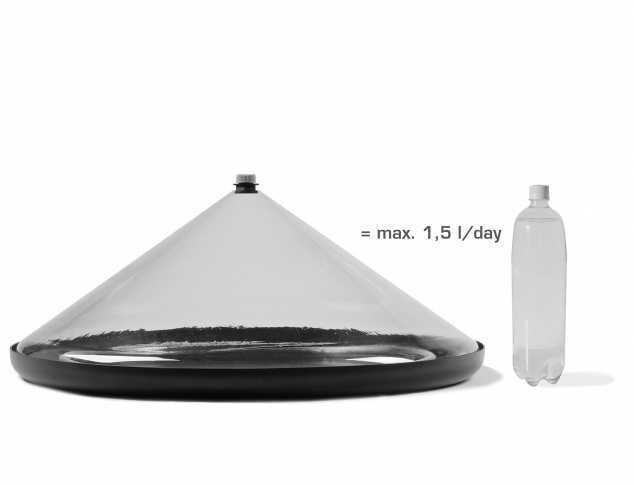 Its top was equipped with a cap similar to that of a pop bottle, insuring that the water is not lost to the atmosphere. 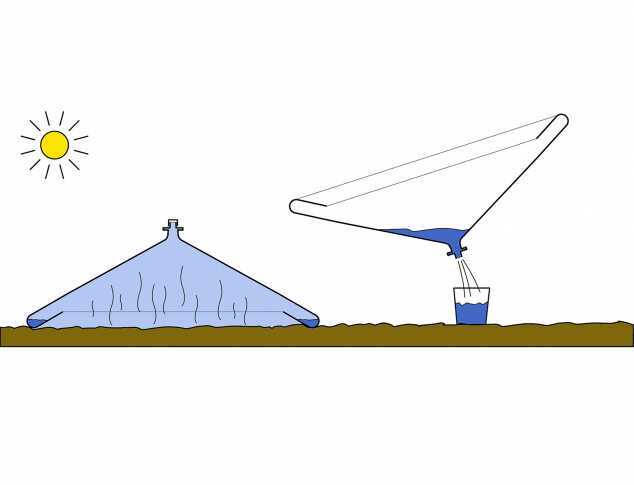 The evaporated water condensed with a 40% effectiveness degree on the side of the cone and trickled down to the circular trough at the cone's base, and once the cap unscrewed, the clean water could be drained into a container for drinking. The Watercone was sold in retail for about 60 Euro. With the average price of a bottle of water being 0.40 Eurocent it could pay for itself in about 5 months. With up to 1,5 liters in 24 hours it could cover a child’s daily need of freshwater. Large families, hamlets, villages could all experience dramatically improved quality of life starting from as little as a dozen Watercones set up close by the sea.